Just when I think the autumn slump has been avoided, it rears its ugly head. One thing we all need to remember going forward: The descent is gradual. It doesn’t drop off in one week. It starts in October, and you start to feel it come November. Monday’s Raw was a bad show. It was filled with multi-man matches with no consequences and awful scripted dialogue. It became frustrating to watch, and I did something I rarely do: I turned off the television. This isn’t a new phenomenon. WWE has been in this creative funk for years. In the “WWE Universe,” everything is sanitized and politically correct. Instead of seeing interesting people playing characters, we have characters that often don’t even feel like real people. We don’t see anything that looks like a real, genuine human interaction anymore. We have carefully scripted and blocked scenes where characters say contrived, awkward sentences filled with company-approved words and lingo. We all know pro wrestling isn’t real. But you have to at least give us certain things that feel real, so we can suspend our disbelief and be drawn into the story. There so very few things on WWE programming nowadays that feel real, it’s actually pathetic. 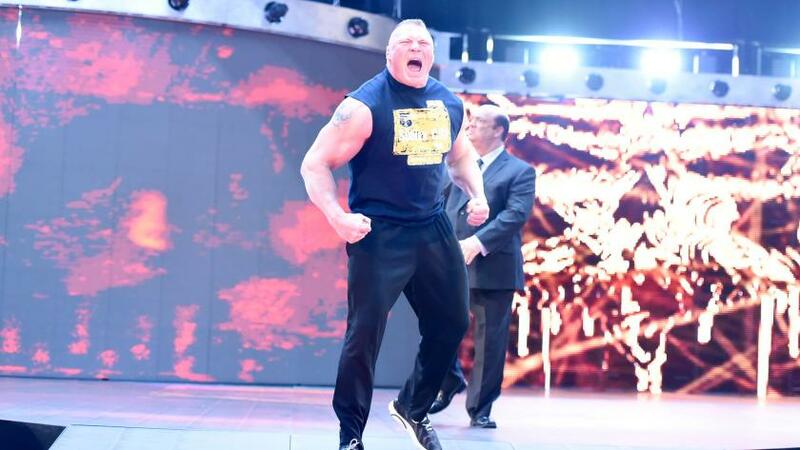 Then we have Brock Lesnar, Bill Goldberg, Paul Heyman, and that face off segment from this week’s Raw. Was their dialogue scripted? I’m sure it was, to an extent. But when Goldberg told Heyman he was going to “rip off your damn head and I’m gonna feed it to [Brock],” it was like somebody slapped me in the face and woke me up. Then Heyman said the line about Goldberg’s son calling Brock “daddy.” In spite of what he said, I actually smiled. Feelings. Actual human emotions. Simple human emotions! Bill Goldberg was mad at Paul Heyman for talking about his family, and he threatened to beat him up. But Heyman kept riling Goldberg up by getting personal. Meanwhile, Goldberg and Lesnar have bad blood, and want to beat the hell out of each other. And the crowd was into it! This was the kind of crowd they wanted in Minneapolis a few weeks ago. Was it real? Of course not. But it was real enough. Then in the very next segment, we went right back into the WWE bubble. We were talking about one TV show being better than another. It matters because….? Whichever show prevails is going to get…? And I’m supposed to care because…? After that Goldberg/Brock segment, I couldn’t bear to go back to what I’d been watching before. This Raw vs. Smackdown stuff is fine in theory. But it brings to light a larger problem with WWE storytelling over the last decade or so. Where’s the humanity? Where’s the life to it all? 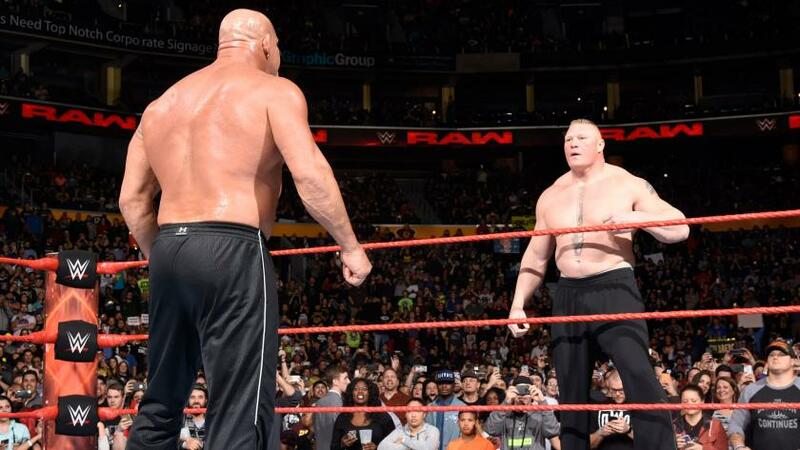 This entry was posted in Wrestling and tagged Bill Goldberg, Brock Lesnar, Brock Lesnar vs. Bill Goldberg, Paul Heyman, pro wrestling, professional wrestling, Rob Siebert, scripted promos, WWE, WWE autumn slump, WWE Monday Night Raw, WWE Raw, WWE Raw results on 11/15/2016 by primaryignition.